I love my vacation/work/mommy break Thursdays, but I don't like the lack of movement myself and my fitbit get. So I have started jogging with another twin mommy friend at 6 am, way to get those steps in people. I love my dress up Thursdays where I can get pretty and put on heels oh and size 4 yes FOUR pants! Eeeeekkkkk! 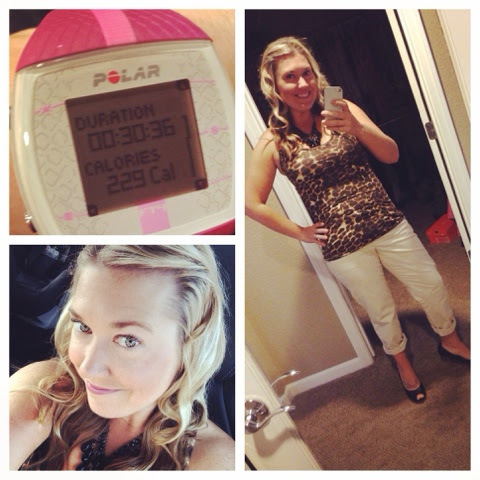 Steps in and a non-mommy or workout outfit!